Thomson Financial has formed a partnership with nine broker-dealers to attract liquidity and expand the range of assets traded on TradeWeb, its fixed income and derivatives trading platform. Under the terms of the agreement, the dealers will invest approximately $180 million to purchase a minority stake in TradeWeb's established markets. 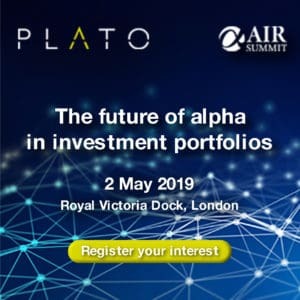 Separately, Thomson and the dealers will fund additional investment in asset class expansion. As part of the deal, Thomson Financial will contribute its equity trading-related assets, including AutEx and the Thomson Order Routing network to TradeWeb. AutEx provides equity indications of interest (IOIs), while Thomson Order Routing is a FIX network, with more than 6,000 connections to over 700 customers around the world. The dealers that have agreed to invest in TradeWeb are Credit Suisse, Deutsche Bank, Goldman Sachs, JPMorgan, Lehman Brothers, Merrill Lynch, Morgan Stanley, The Royal Bank of Scotland, and UBS. All nine firms have committed to participate in TradeWeb's markets, including interest rate swaps. Thomson says the deal will benefit clients by creatng a unified platform for the trading of fixed income, derivatives and equities markets; integrating multi-asset class trade processing; providing access to a deep pool of dealer liquidity for interest rate swaps; offering pricing information off which to drive analytics and modelling; delivering multi-asset and cross-asset class trading, enabling clients to execute advanced trading strategies that are now becoming commonplace, especially with hedge funds and other leveraged investors; and producing greater market transparency, increased trading effectiveness and reduced operational complexity for both the buy-side and sell-side. Under the terms of the agreement, Thomson Financial will become a preferred distributor of TradeWeb's market data. "This new venture is a demonstration of Thomson Financial's commitment to working with its dealers and customers to drive performance," says Sharon Rowlands, CEO of Thomson Financial. "It will marry TradeWeb's proven technology and operational skills with the support of a world-class group of dealers to provide global, one-stop trading and straight-through processing for our customers." TradeWeb was acquired by Thomson Financial in 2004, a year in which trading volumes totaled $26.2 trillion. Since then trading has continued to increase, with clients executing more than $51.2 trillion in trades in 2006, an increase of 95% over 2004. Trading in the first half of 2007 reached $30.6 trillion, a year-on-year increase of 22%. "This partnership is a natural step forward in the evolution of the online financial marketplace, taking us closer to the time when almost all trading is electronic," adds Jim Toffey, CEO of Thomson TradeWeb. "TradeWeb is ideally positioned to seize this opportunity, and expand e-trading for our clients on one platform through organic growth and through acquisition. The end-game is to be the leading global network where markets meet." Lee Olesky, president of Thmoson TradeWeb says the deal creates a potent combination. 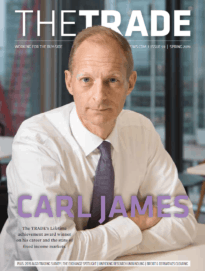 "At this stage in the evolution of the electronic markets, especially interest rate swaps, the partnership of leading dealers with TradeWeb's global distribution and technology, is a powerful combination," he says. "New investment by the dealers, and ongoing support from Thomson, position us uniquely to continue to work with the wider buy-side and sell-side community to expand our business." Toffey, Olesky, and Billy Hult, Managing Director and Head of U.S. Markets, will retain the same positions in the new venture. "The dealers are pleased to partner with TradeWeb to provide our clients with the transparency, price discovery and efficiency of electronic execution," says Vic Simone, Global Head of Principal Strategic Investments for Goldman Sachs, on behalf of the dealer consortium. "Together, we will provide new solutions that reduce technology complexity, increase settlement accuracy and drive best-execution pricing." The transaction is expected to close in the next few months, pending regulatory approval. TradeWeb will maintain its global headquarters in Jersey City, NJ. Average daily trading volume on TradeWeb exceeds $250 billion. TradeWeb will continue to work closely with Thomson Financial on developing new and innovative solutions for non-traders. Merrill Lynch acted as financial advisor and Fried, Frank, Harris, Shriver & Jacobson LLP acted as legal advisor to Thomson on the transaction. Cleary Gottlieb Steen & Hamilton LLP acted as legal advisor to the group of investing dealers.